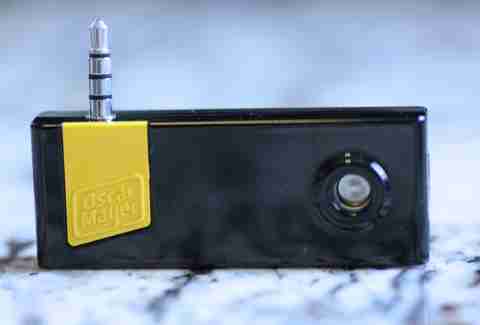 An alarm that'd wake you up to the smell of sizzling bacon seemed like an idea too good to be true -- but we discovered it wasn't. 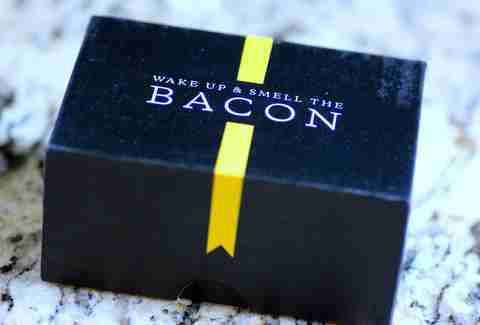 After calling up Oscar Mayer and demanding to try the bacon alarm for ourselves, a fancy box showed up at our doorstep. Sadly, it was delivered from a FedEx truck, not the Weinermobile. After that major disappointment, we decided to try it out. 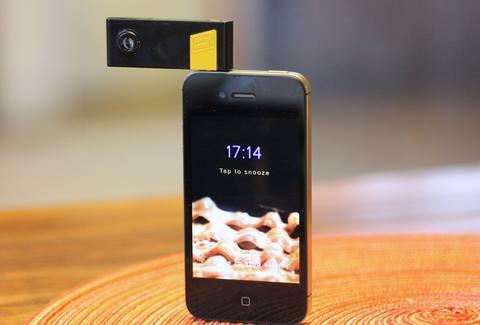 Did the smell of bacon really come from this weird iPhone attachment? Was it just a publicity stunt? Only one way to find out. Don't worry, we didn't throw away a box this nice. I'm saving it to use as an engagement ring box when I meet "the one". 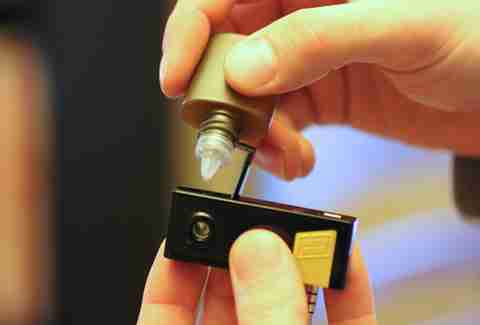 This attachment plugs directly into your iPhone headphone jack. It somehow emits the smell of bacon, but we're not sure how because we failed chemistry in high school and have no concept of how electronics work. An eyedropper full of bacon solution was included in the box, and, because we wanted as much bacon smell as possible to come out of the attachment, we filled it up. The instructions warned us not to drink it. After plugging it into the headphone jack of the phone and downloading the app, it made a weird request. 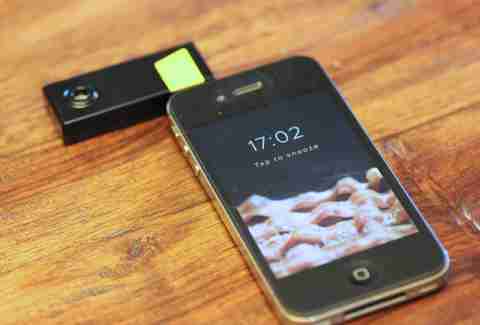 Is this bacon app a front for the NSA to listen to our phone calls? Probably. 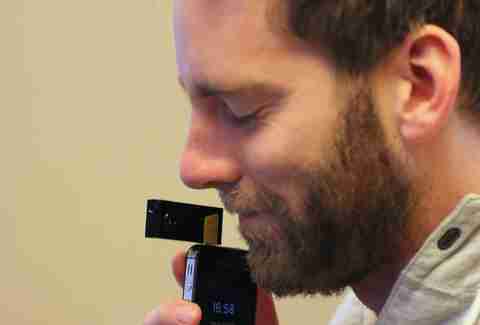 We didn't care; we just needed to see if this thing could make bacon smells come from our phone. The screen to set the bacon alarm is clever. 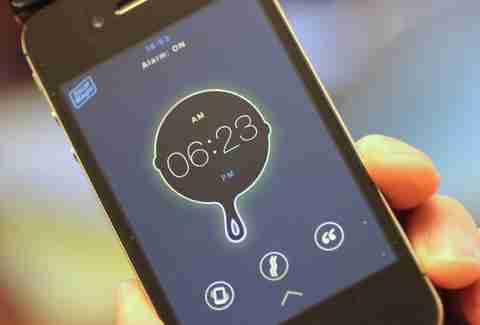 The skillet doubles as a clock, and you spin it around until you find the time when you want to be woken up. Showtime! When the alarm goes off, some extremely subtle (and extremely delicious-smelling) bacon scents starting coming out of the attachment, along with the sounds of bacon sizzling and a soothing voice intoning "Baconisms". "Bacon is both strength and weakness." This is not as good as waking up to the actual smells and sounds of bacon cooking in the pan, but better than waking up to the default alarm on your phone. We recommend signing up to beta test it for free. Lee Breslouer writes about food and drink for Thrillist and enjoys the smell of bacon more than the taste. Follow him @LeeBreslouer, because you can't make up a name that good.